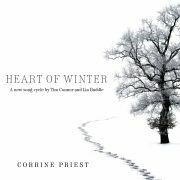 This new one-woman song cycle with music & lyrics by Tim Connor, follows the story of Kate, a primary schoolteacher in her mid-twenties, living up North. Her relationship of three year is over, and she is trying to adjust to her new life without Adam. With the help of her mum, her close friends and a large tub of Ben & Jerry’s, she is battling the harsh reality of winter to find the new hope of spring. The song cycle had its first performance back in 2009, performed by Kate Roscoe, at London’s Leciester Square Theatre. The Original Studio Recording was released in 2015, featuring Corrine Priest in the role of Kate.